You can depend on us because we see ourselves as your partner in all matters relating to sea transportation from Hamburg and Antwerp to West Africa, Lebanon and the Persian Gulf. We’ll take time to give you comprehensive advice and to discuss all the necessary steps and formalities connected with shipping your vehicles, and we will then complete them on your behalf. Besides our competence in container logistics, our expertise in ro-ro shipping is also in great demand. You can ship your vehicles from Hamburg and Antwerp to the following ports in West Africa: Abidjan, Banjul, Boma, Conakry, Cotonou, Dakar, Freetown, Luanda, Libreville, Lomé, Lagos, Monrovia, Pointe-Noire, Takoradi and Tema. We also offer shipments to Lebanon and to the ports of Dubai, Kuwait and Jeddah in the Persian Gulf/Red Sea. 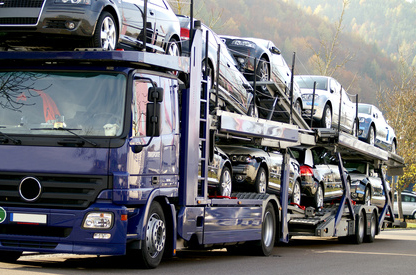 We will of course be glad to perform all necessary customs and other formalities when shipping your vehicles. And if you cannot deliver your vehicles yourself, we will be happy to collect them – even any return transport is no problem for us.